Do you want your restaurant to be the number choice for patrons to check out? If attracting them with a good restaurant smell isn’t enough, then you should consider updating your marketing methods with this article provided by fireart.studio. People are getting more and more dependent on the internet for tips and ideas, whether through a desktop or mobile phones. With this knowledge, what do you think is the best way to reach out to them? That’s right, to impress them with your online presence. Building your own custom website will increase your chances of appealing to the masses. But not just any website, it needs to feature a design that will capture everyone’s curiosity. Just take a look at some of the best restaurant website design ideas to serve as an inspiration for you and your chosen web designers. Their chosen restaurant website design gives off a sleek and elegant vibe for their business. When you open the site, you will immediately get the impression that the food they make is high quality and cooked to perfection. They achieved it by using black as their background, which helped highlight the food in a suave way. This was further improved with their choice of fonts and how they managed to make them all work together. It not only catches your visitors’ attention but also adds to the overall aesthetic experience. The addition of the colors red and green interrupts the elegant feel of the website, in a good way. Red is a color commonly used in food websites. Just look at the biggest fast food chains all over the world, you will notice that they all have something in common: the color Red. This is because the color Red is effective in stimulating the taste buds and the appetite; however, it is still a hit or miss. What Bertoldi’s did right is that they only used it to complement the background color, slightly teasing visitors into visiting them. Meanwhile, the color green gives off that fresh vibe, hinting that their food is served fresh and healthy. You will be immediately welcomed by high-quality pictures of their restaurant as soon as you enter their website, which is a great idea, especially for a startup business or website. It is an effective way to instantly grab your visitors’ interest and appetite. For this entry, they successfully achieved an inviting vibe, which is the best restaurant website design to aim for. The chosen pattern and color of the background is warm and welcoming, and it already gives visitors an idea of what kind of dining experience they will get. The whole thing is complemented with the color Black as seen on the fonts and the buttons, which gives off a classic feel. Another noteworthy thing is that the website is responsive, meaning it adjusts according to size no matter how small it can get. This is perfect to attract people who are constantly using their phones. Using black as the main color for a background does not necessarily mean they are aiming for elegance and sleekness. Some use it to highlight their menu and specialties. Take a look at Nuevo Aurich’s use of this technique. All your eyes will instantly lock on the food the designers brilliantly placed on top of the page. They made sure that the visitors will immediately get the idea of what kind of adventure they will be in for. The website follows the usual templates you would see restaurant website designers are using. Yet they still succeeded in creating a simple design that still stands out, all thanks to the creative combination of several elements. This just shows that simplicity can be grand when done by the best web designers with the right tools. This is the result of a restaurant website design company understanding the identity of the business they are working with. The design captured the elegant yet laid-back vibe of the cafe, which can easily attract customers looking for a place to stay. The combination of black and other vibrant colors helped the brand express the atmosphere you can expect from them. The arrangement of the food photography is also done in a well-designed layout, like puzzles falling into the right places. It is also easy to follow which part of the layout belongs to a specific food item, minimizing the chance of confusion. Another thing that’s noteworthy is the fixed navigation bar. It makes navigation easy and possible without having to scroll all the way up the page. 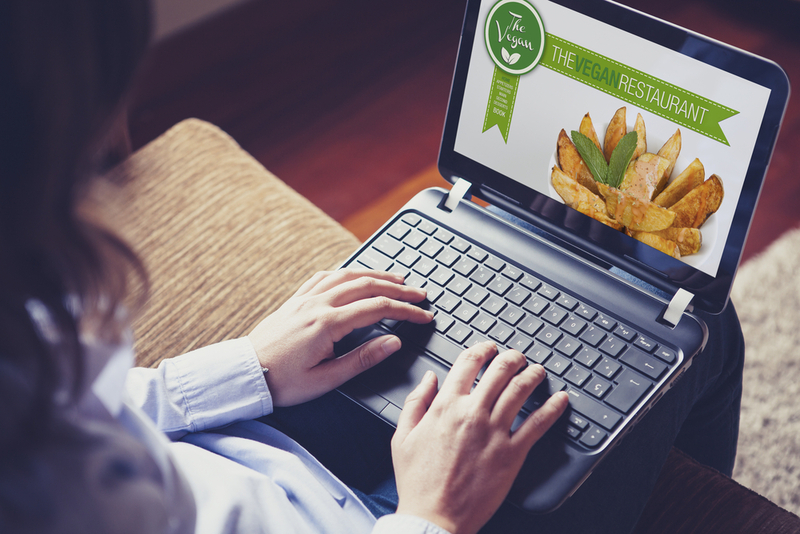 Another thing to take note of when planning a web design for restaurants is to get visitors excited to visit the place. One thing Wired Cafe did right is to get the perfect shade of green, making it appear playful on the eyes. It was the perfect match with the prominent cream background. They also made use of big, bold fonts, which was one of the popular trends in 2017. It can easily capture patrons’ attention and interest, especially when utilized properly. Using coffee beans as their footer contributed to the overall fun look at the website. It can convince people into dining with them when they want to experience a hell of a jolly time. Remember the times when people used to rely on newspapers and magazines for suggestions and reviews? Ruby Tuesday’s website can give you a certain sense of nostalgia with its fonts and designs similar to older magazines. One way to let your brand make an impression on your customers’ minds is to appeal to them emotionally. In this situation, they used nostalgia as their selling factor. Also, the website has an easy user interface and navigation to follow. Everything that a customer might need from the website is placed where they can be easily seen. Careit’s website is easily the most relaxing website to look at compared to the other entries. Although nothing much is going on, it still manages to shine in its own way. The choice of fonts, color sharpness, and layout all complemented each other, which resulted in a page that’s easy on the eyes. In addition to that, it is also easy to navigate through the website, with their features and contents presented neatly in obvious places. You can also take note of these as a reference if you are mindful about the price tag on your website’s development.